At South Coast Social, we’re big advocates of LinkedIn for business, and it’s no surprise why! LinkedIn is the world’s largest and most active professional networking platform, with over 13 million companies vying for the attention of more than half a billion users. As such, your LinkedIn Company Page represents a great opportunity to establish your brand as an industry thought leader and can help attract top talent. Here’s 5 top tips you can use to optimise and strengthen your business page, improve your presence, authority, and recruitment prospects on the platform. Your profile image is the first thing people searching for your company on LinkedIn will see, so you need to make a good impression. It’s important to do this as Company Pages with profile pictures get six times more visitors than those without. You should use your company’s logo as your profile image or banner to bring your page to life. Your logo appears when members search for your company as well as on your employees’ profiles, keeping everything simple and uniform. Your company logo will hook a prospect, but don’t underestimate the importance of words to reel them in. It’s important to optimize your ‘About Us’ section for search. 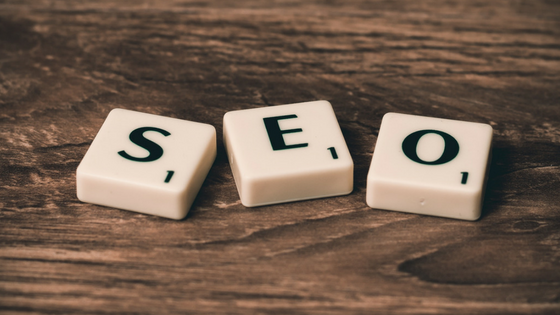 Company Pages are SEO friendly and Google previews up to 156 characters of your page text, so be sure that your description includes powerful, keyword-rich copy. Your ‘About Us’ section should be 2,000 characters or less, so focus on words that effectively describe your business and industry focus, as LinkedIn members can search for companies by keyword. It’s recommended that you use simple, accessible language to outline your business goals in words that anyone will understand. Remember, LinkedIn is a professional space and has its own set of unwritten rules. Don’t be the company sharing memes from five years ago in an effort to market to Generation Z. You should tailor your content to a professionally-minded audience, this doesn’t mean it has to be boring, but take note of your audience and plan accordingly. Located under the ‘Life’ tab, Career Pages feature customisable sections where you can display high-quality images, videos and articles about your organisation. Glassdoor reports that 69% of job seekers are more likely to apply to a company that actively promotes its culture online. It’s also important to include an URL in every post, as LinkedIn reports that posts with links get 45% more engagement. According to a survey by Jumpstart HR, potential employees’ value personal growth opportunities above anything else when considering an employment opportunity. By sharing content in the ‘Employee Perspectives’ section you’re showing your current employees that their perspectives are valued and indicating to future talent that there’s room for recognition and the opportunities that come with it. The Careers Page also has other features that you might want to explore. These include a virtual ‘meet the team’ section from employee profiles, collecting and sharing employee testimonials, promoting diversity by listing spoken languages, and tracking your recruitment analytics to improve your recruitment process. You should also update your Careers Page regularly to indicate that you are a hub of excellence and new ideas, so post whenever you can! More than a billion peer-to-peer endorsements have been given on LinkedIn. It’s recommended that you gather recommendations whenever possible. Ask your employees to connect with the Company Page, they will then be notified of work anniversaries, new job opportunities, and other updates about your business. Ask employees to share company updates to their own networks. This will further the reach of your content, but also have your company name attached, and you can write them a recommendation in return. Ask B2B associates to provide you with endorsements or recommendations. This will be extremely valuable as 76% of B2B buyers prefer to work with recommendations from their professional network. Make sure you are only endorsing people and businesses you have actually interacted with, for skills you can honestly attest to. Another way to build your brand and increase your credibility is to gather recommendations directly from your customers and followers. Take the opportunity to interact with your followers, for example, if they’ve commented on an article you’ve shared or messaged with an inquiry, take the opportunity to create a dialogue and win an endorsement. Feel free to get in touch if you’re thinking about setting up a Company Page for your business and would like a little friendly advice.